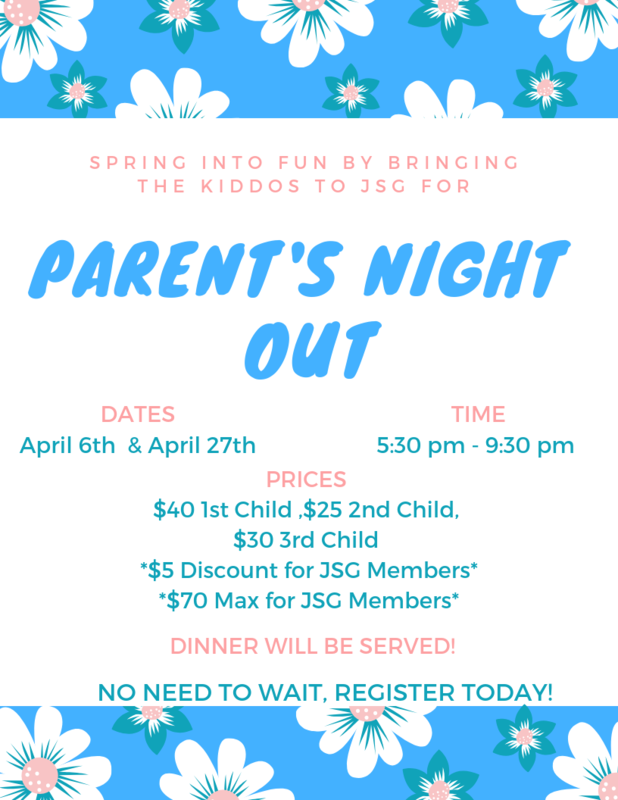 Why get a babysitter when you can bring your kids to Jump Start Gym for a fun night of pizza, gymnastics, games and more? We always wind down with a book/movie as the night draws to an end, so kids are ready for bed when they get home. * Costs will be manually adjusted in our system for 2+ kid families once signed up. * We must have a minimum of 5 kids signed up in order to have a P.N.O.